Grew up… somewhere that breeds tough, self-reliant men. Clay’s past is shrouded in mystery until 1968 when he was invited to join The Sons of Anarchy Motorcycle Club (SAMCRO). Shortly after joining Clay shipped off to Vietnam, where he served as a paratrooper until 1972. Upon his return he was welcomed back into the Charming, California, chapter of SAMCRO, where he has remained ever since. Living… in a beautiful home in Charming, California. But he is almost always at the SAMCRO club house. Profession… officially, he runs the Teller-Morrow Auto Shop. But primary job is president of SAMCRO. Clay is the member that initially pushed the club to become involved in arms trafficking. It’s dangerous work, but incredibly lucrative, and Clay is experienced after running guns for over two decades. Interests… making money hand over fist. The original architect of SAMCRO’s arms dealing, Clay Morrow is constantly looking to grow the Sons’ already impressive stream of revenue. 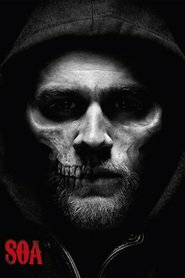 Greedy, calculating, and merciless, Clay has transformed SAMCRO into a criminal empire that covers much of the United States. But Clay isn’t solely driven by greed. He is incredibly protective of Charming, and goes to great length to make sure that drugs and rapists are kept off the town’s quiet streets. This streak of vigilantism has earned SAMCRO the adoration of many of the town’s residents. Relationship status… happily married to Gemma Teller-Morrow. Gemma is the late wife of SAMCRO’s founder John Teller and the mother of the club’s current vice-president, Jax Teller. Both Clay and Gemma are tough, unsentimental types. But their total dedication to SAMCRO brings them together, and has birthed a relationship that is surprisingly tender and mature. Challenge… surviving the life of a prominent outlaw biker, which is even harder than it sounds. As the president of SAMCRO, Clay has plenty of enemies on both sides of the law, but what’s more troubling is the changes that are taking place inside the club. Jax is beginning to question the direction of the club, and is increasingly taking issue with Clay’s leadership. This threat of internal schism, combined with the increasing federal scrutiny cast on the Sons of Anarchy, puts the club in one of the most precarious positions of its existence. It would have been hard enough for the young Clay Morrow to handle – but older Clay is burdened with arthritis and decades of deadly secrets. Can he stay ahead of his enemies and retain his position as the undisputed king of SAMCRO? Personality… ruthless, indomitable, and oozing with animalistic charisma. A born warrior, Clay wields tools such as murder and theft without a second thought. But as terrifying as Clay is to his enemies, he exhibits warmth and tenderness to Gemma, Jax, and the other members of SAMCRO. He also exhibits a twisted sense of black humor, and loves to joke around with his fellow outlaws. He is one of the original “First 9” members of SAMCRO, but whether he is loyal to the ideals of SAMCRO or merely to its spoils is uncertain. Clay Morrow's popularity ranking on CharacTour is #1972 out of 5,000+ characters. See our top-ranked characters and read their profiles.